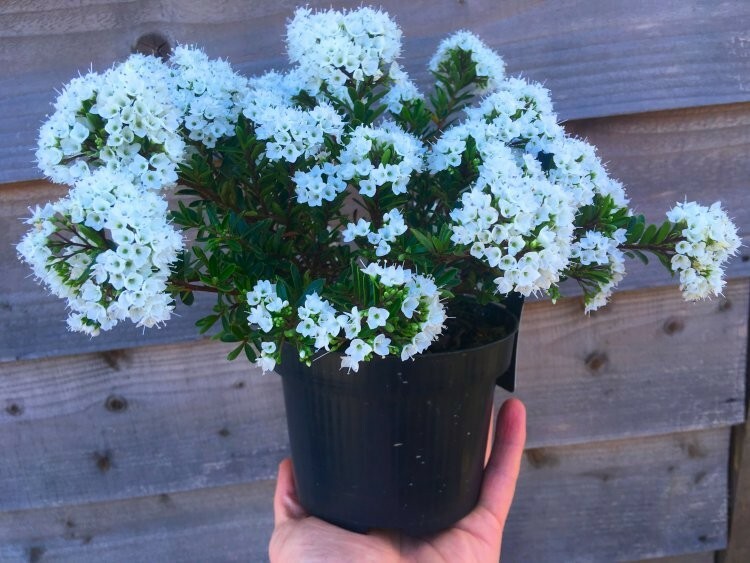 SPECIAL DEAL - Today you can buy this lovely Hebe Plant for just £3.99, yes, just £3.99!!! - Save £5!!! Hebes are a favourite hardy garden plant, and this Celina variety is no exception, forming a smart looking evergreen bush. Compact in nature, the branches are covered in densely packed glossy vibrant green leaves. Celina produces white to pale lilac bunches of small flowers in late spring and early summer, covering the entire plant. 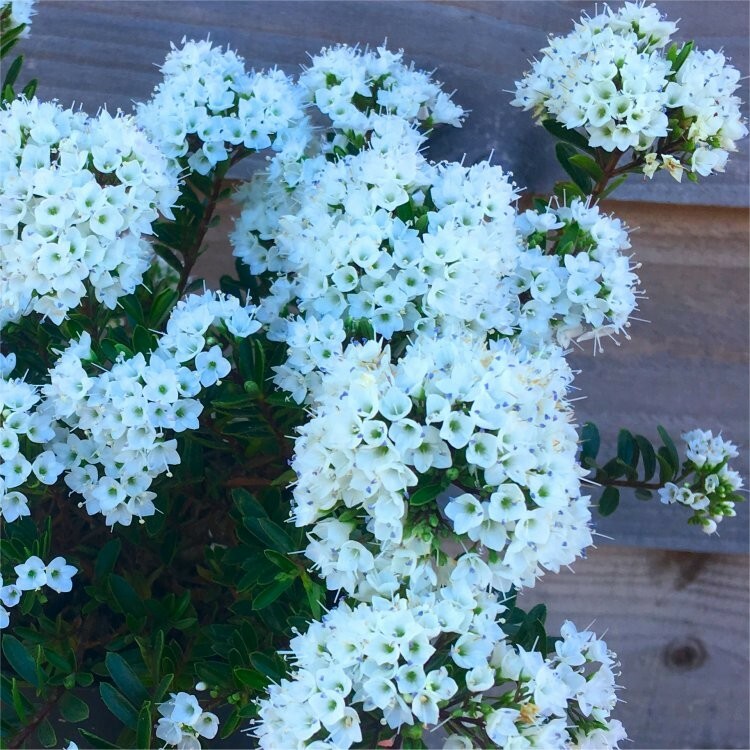 It is a very reliable and easy to grow shrub, just requiring an occasional trim to maintain, hence why they are so popular. 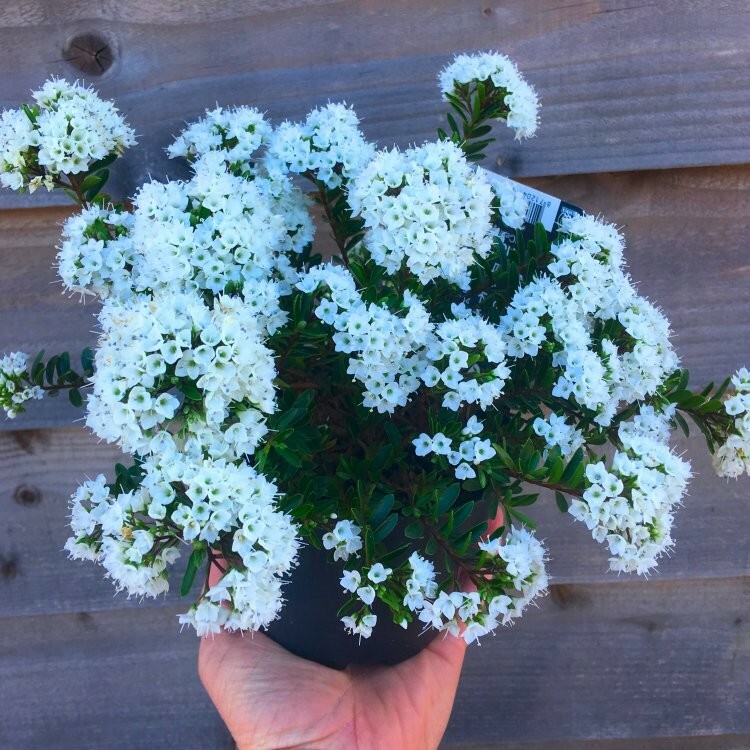 Hebe ‘Celina’ is an evergreen bushy shrub, which grows to about 30cms high, it is perfect for containers, at the front of the border, or even planted en-mass for ground cover. Supplied in approx 1 litre containers covered in buds and blooms in season as pictured. 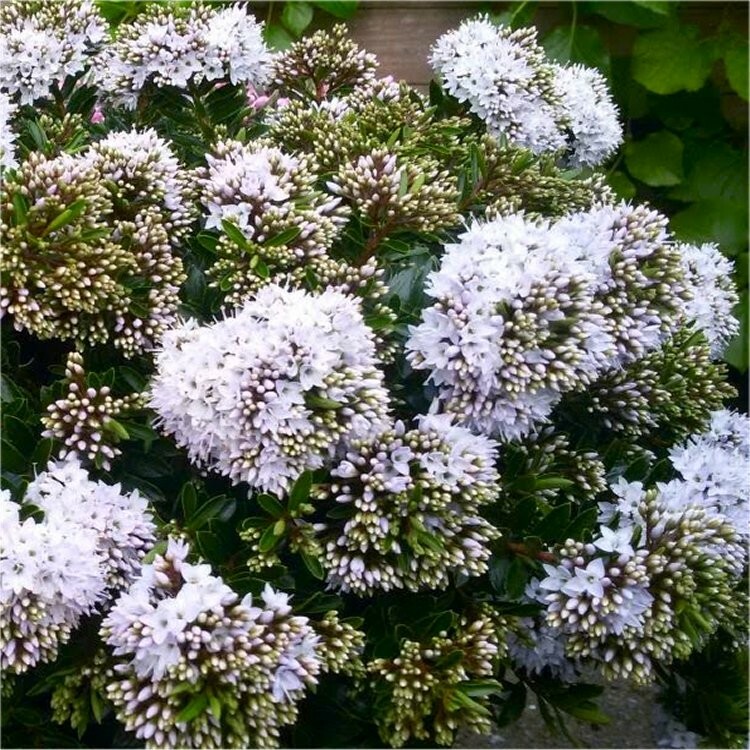 SPECIAL DEAL - Today you can buy this lovely Hebe Plant for just £.3.99, yes, just £3.99!!! - Save £5!! !